Welcome to Top Notch Haircutters! 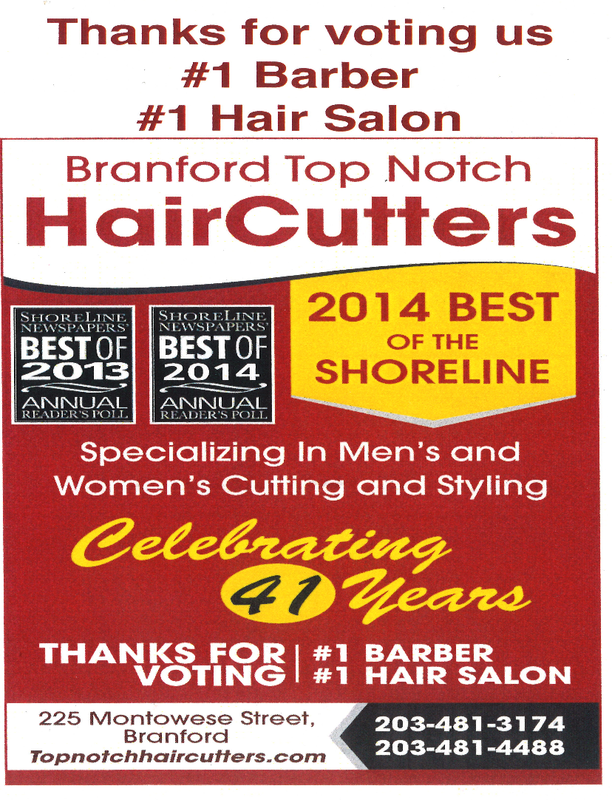 Branford Top Notch Haircutters is located at 225 Montowese Street along side the Branford Green and has been in business at this location for 37 years. Our staff has over 158 years combined experience and is ready to give you that look you want. Whether it’s a cut, style, color, hi-lite or permanent, we look forward to serving you and your entire family. Our staff is warm, caring and friendly. Our prices are excellent and we use the finest hair care products to ensure the exact look you desire. Appointments are preferred and walk-in’s are welcome.